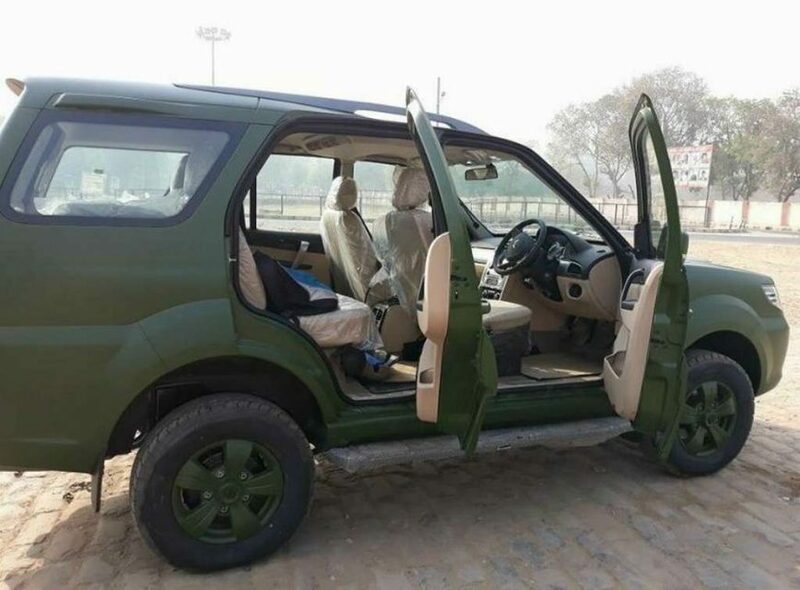 In April 2017, the Indian Army signed an agreement to replace the Maruti Gypsy in the 4×4 light vehicle category with the Tata Safari Storme as an initial order of nearly 3,192 vehicles came into existence. While outsmarting rivals, it was said that Tata offered a better financial deal than Mahindra. The Indian Army prefers a single major model for the ease of logistics and since the Safari Storme is more powerful than the Gypsy with additional safety features and being powered by a diesel engine, it was chosen to lead the vehicle fleet. 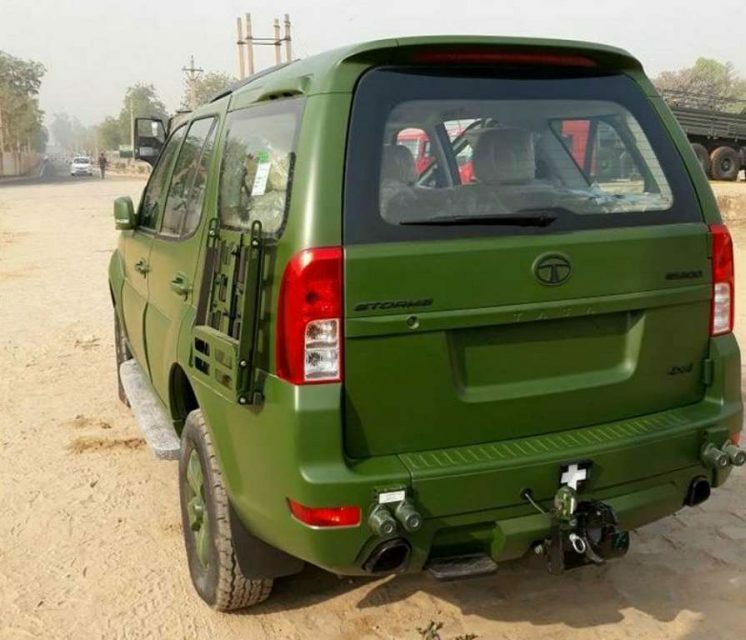 Tata Motors also supplies 619 HMV military trucks to the Indian Army. 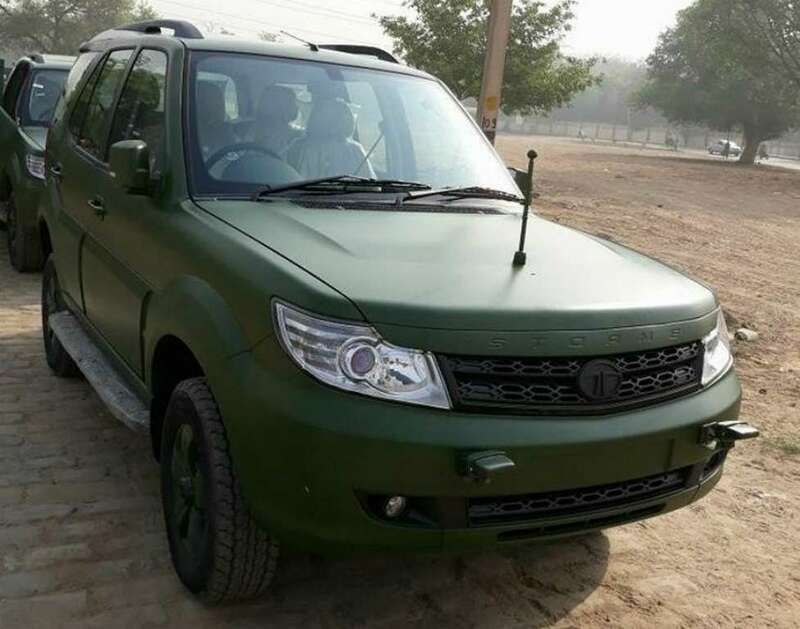 Moreover, the Xenons are used by BSF majorly as new Border Out Post (BOP) vehicles to increase swift movement of our forces along the border. The military-spec Safari Storme 4×4 comes under a new category of vehicles called GS800 (General Service 800). There are three main prerequisites to it such as minimum payload capacity of 800 kilos, hard roof-top and Air Conditioning and the Storme complies with all of them. 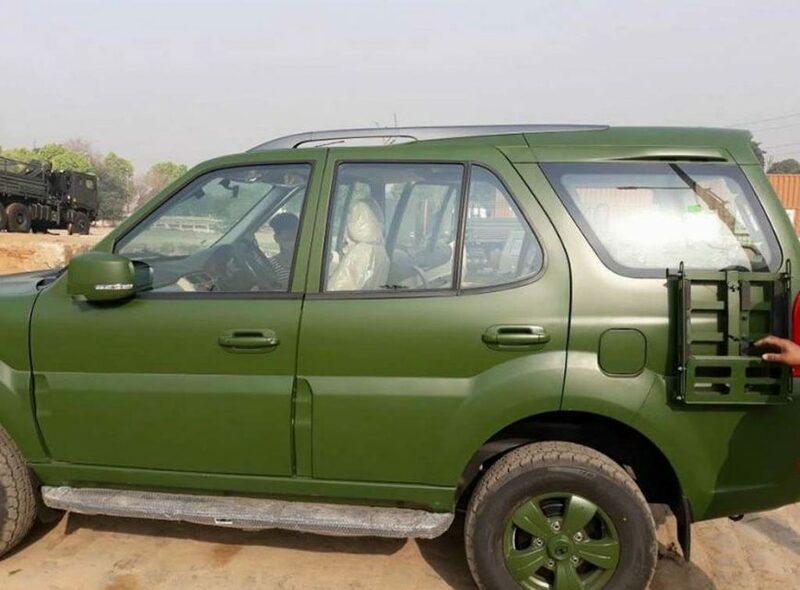 Photographs of the Safari Storme prepared for the Indian Army have arrived on the internet and it looks uber-fantastic in a matte green shade. Compared to the standard model, it has blacked out bumper lights emitting horizontal light beam, chrome touches all around, radio antenna on the bonnet, rear hook for mounting trailer and canister mounting provision on the rear fender. Tata Motors has beefed up the suspension and bettered the underside of the SUV for tackling all the harsh surface conditions. It derives power from the same 2.2-litre four-cylinder Varicor diesel engine that produces 154 bhp at 4,000 rpm and 400 Nm of peak torque at 1,750 rpm. It is mated to a six-speed manual transmission with low- and high-range alongside standard 4×4 configuration.